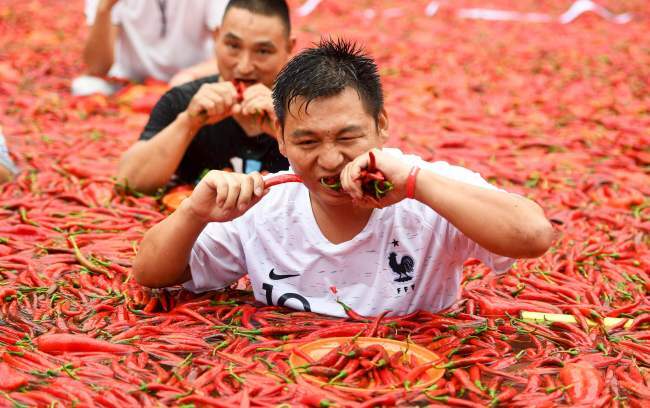 An annual chili pepper festival, complete with a chili-eating contest, kicked off Monday in Hunan province, southern China. 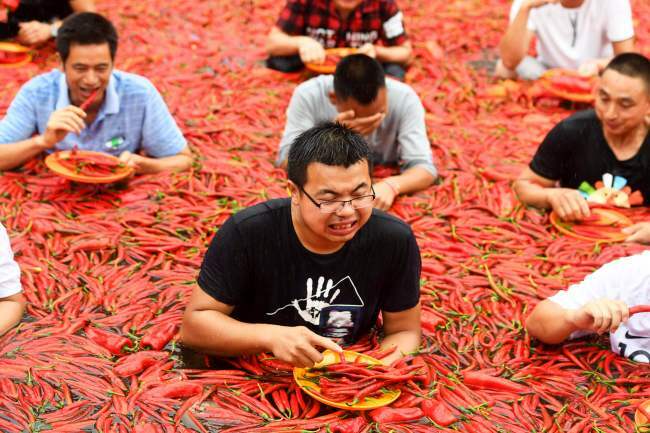 Living up to its reputation, Hunan has prepared a scorching challenge of eating 50 Tabasco chili peppers. Ten people can sign up for the challenge every day until the end of August. 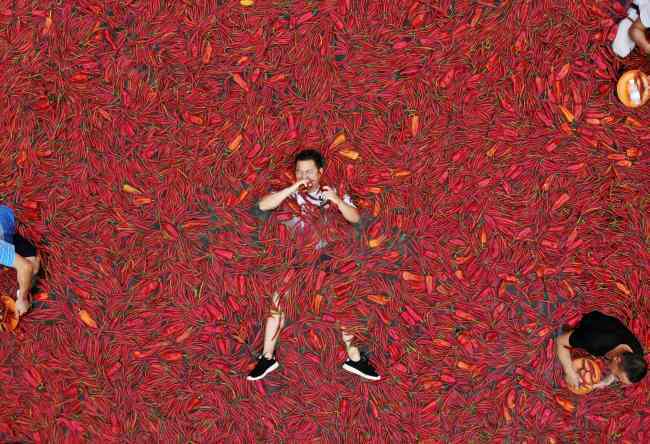 On the first day of the festival, the winner was a local boy, Tang Shuaihui, who cleared his plate of 50 Tabasco chilies in just 68 seconds, according to an Agence France-Presse report. The Tabasco pepper is somewhere between a jalapeno and a habanero on the Scoville Heat Scale, which measures the piquancy of chilies based on capsaicin concentration. The Tabasco chili pepper, with a rating of 30,000-50,000 Scoville Heat Units, is reportedly much stronger than South Korea’s cheongyang red pepper (10,000 Scoville Heat Units). 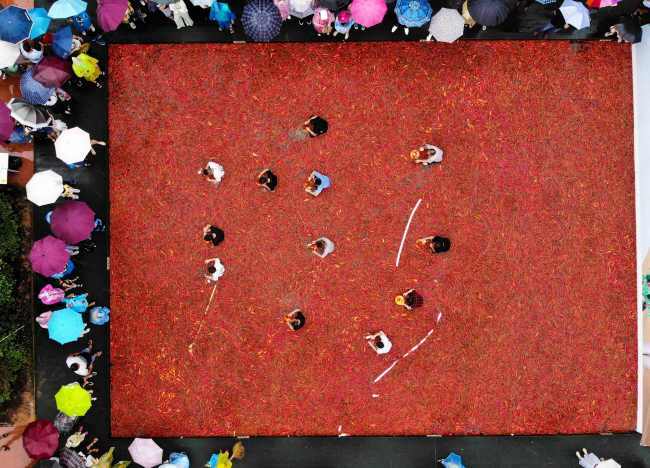 While munching the Tabasco pepper, the contestants sat in a pool of water filled with peppers, but these peppers were of a far weaker variety to avoid irritating participants’ skin.